This Home Has Been SOLD! Off Market. VINTAGE HOME BEAUTIFULLY MELDS THE PAST WITH THE PRESENT Included are the beautiful built ins you expect along with Anderson windows, kitchen rehab with vaulted ceilings, Thomasville cabinetry, SS appliances (stove new in 2017 and dish washer in 2015), updated baths, 200 amp electric service. With a new foundation in 1979, its dry basement provides potential for additional living space along with plumbing roughed in for a full bath. The period claw foot tub is already there for you. 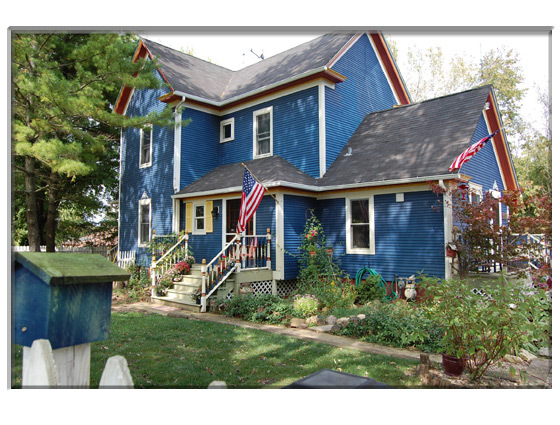 The exterior siding was replaced 5 years ago and is stained cedar. Large side porch perfect for watching the rain or enjoying balmy weather. Backyard deck with pergola is beyond appealing. Fully fenced in yard. New in 2018 - water softener and washing machine and well pump! !